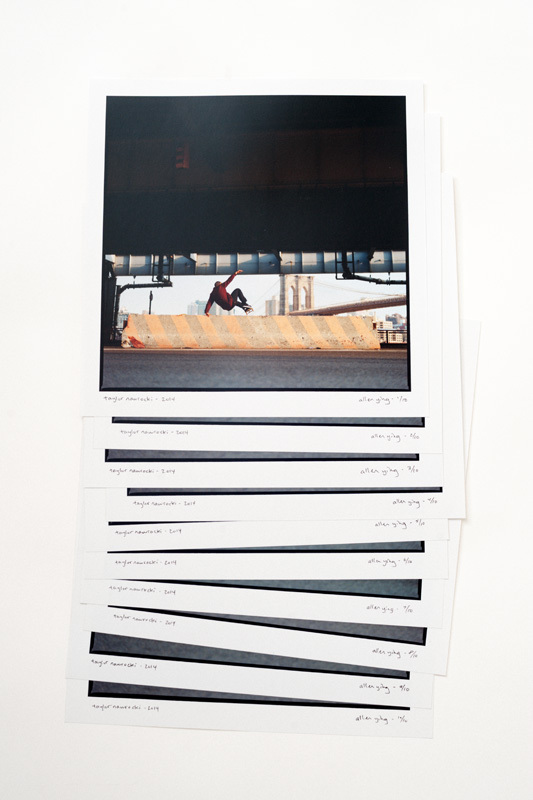 hi, i made my first color darkroom prints, and am very excited about them! 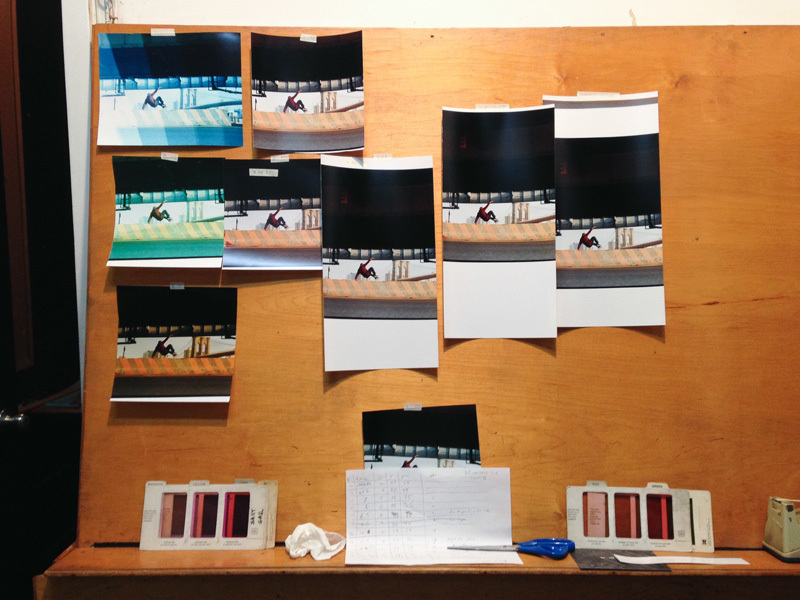 i shot mostly slide film for years, which is beautiful as well, but these color prints are really something else! they're available from the 43 online store. this photo was published in stoops magazine issue 01.
around 2011 when i was redoing my portfolio website, i never got the PDFs of some of my favorite articles i had published. 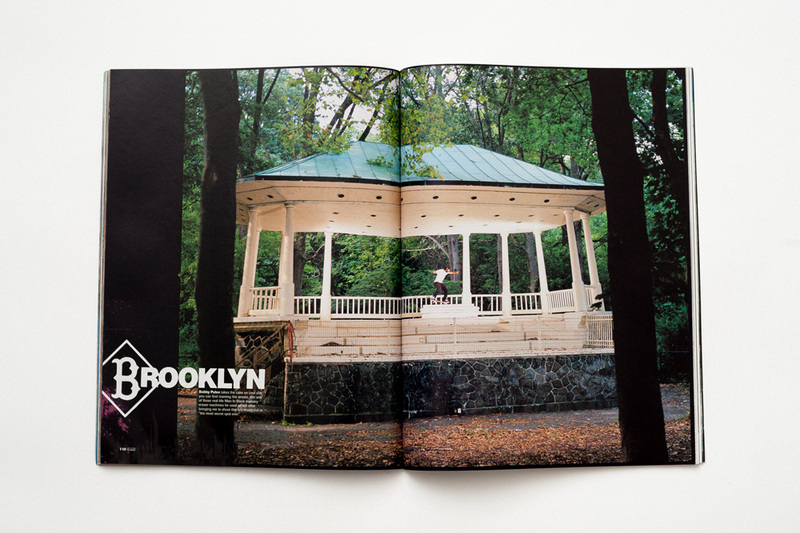 it didn’t seem too important, because at the time it still felt like everyone in skateboarding saw the magazines regularly, but i finally photographed them. 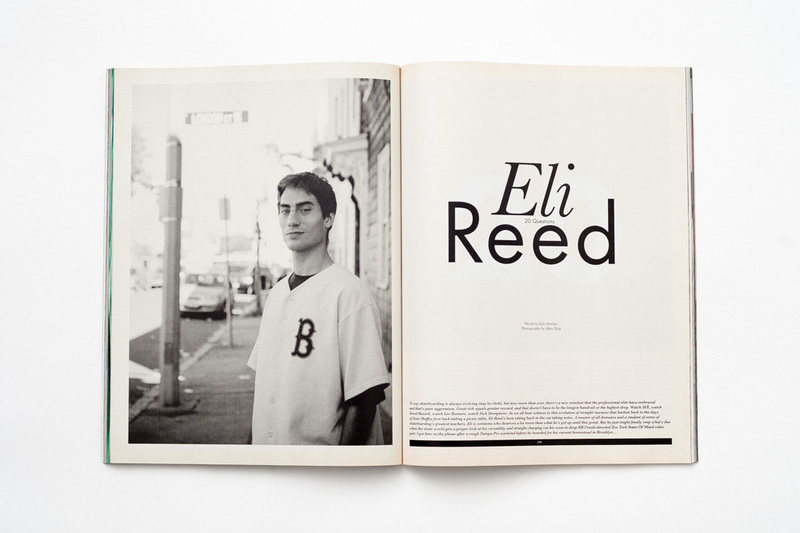 eli and i shot these photos in 2008. he had already been killing it for years, but was still pretty underground or under the radar as they say, which i think was part of the reason it didn't come out until a year later. we drove out to boston and stayed with his mom and brother for a few days to shoot some photos, and shot some in new york. it's one of my favorites because, to me, every photo was "portfolio" worthy as well as really sick skating, and that combination was hard for me to pull off. eric stricker (RIP) backed eli and did the interview. this was an article idea i had pitched to slap. 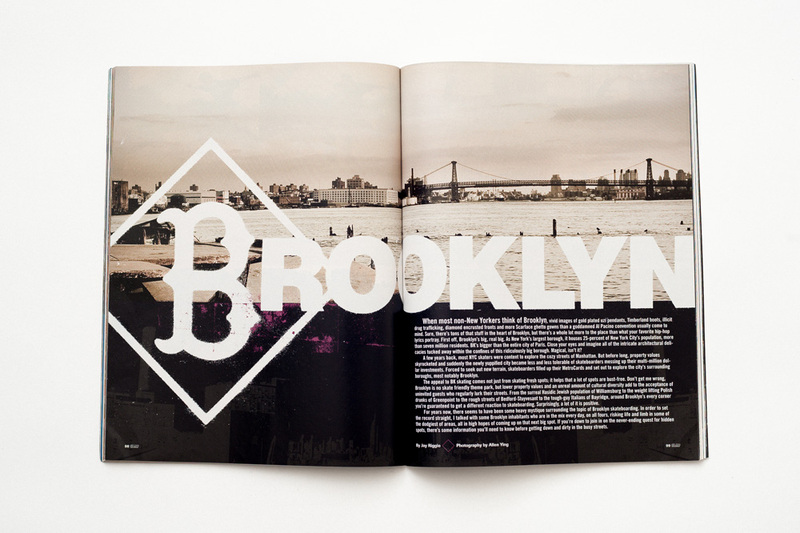 the concept and brand many of us now know as "brooklyn" was not quite what it is today. it had already started to transform towards what it is now, but it was still unfamiliar and intriguing to many of us. the ideas in the article might even be considered cliche by now. 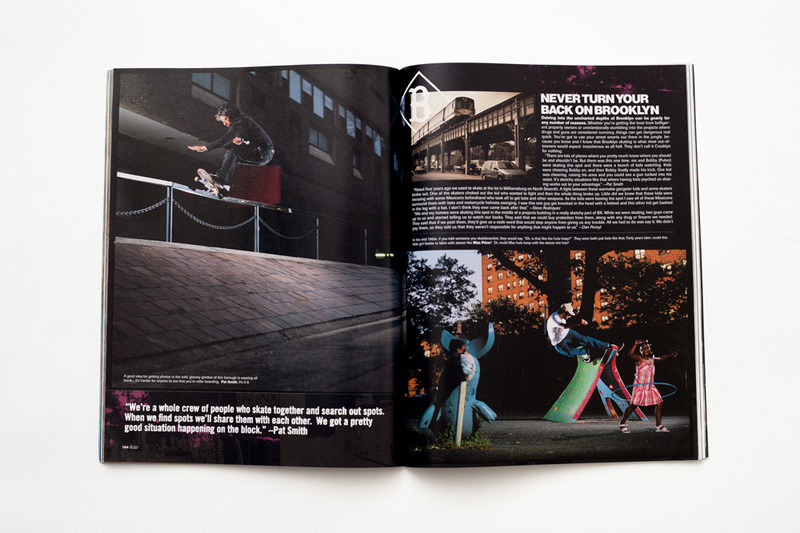 anyway, i didn't think the article would go through, or end up getting 16 pages, since a lot of these skateboarders were not sponsored by companies that advertised in the magazines, which made it hard for skateboard magazines to give pages to them. but it ended up being one of my favorite articles, with some of my favorite skateboarders who lived in, found spots, and/or skated in brooklyn regularly. 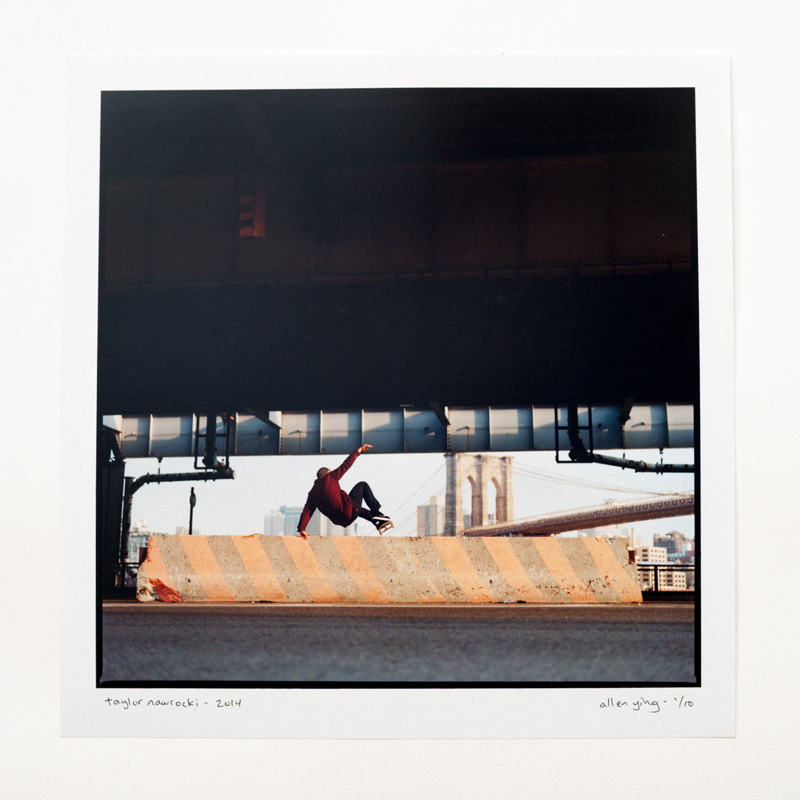 jay riggio interviewed all of the skaters and did a lovely job writing the article. in june 2006, i had just moved into my apt in brooklyn, and i was asked to go on a skate trip with habitat down the east coast. this was like a huge deal for me. 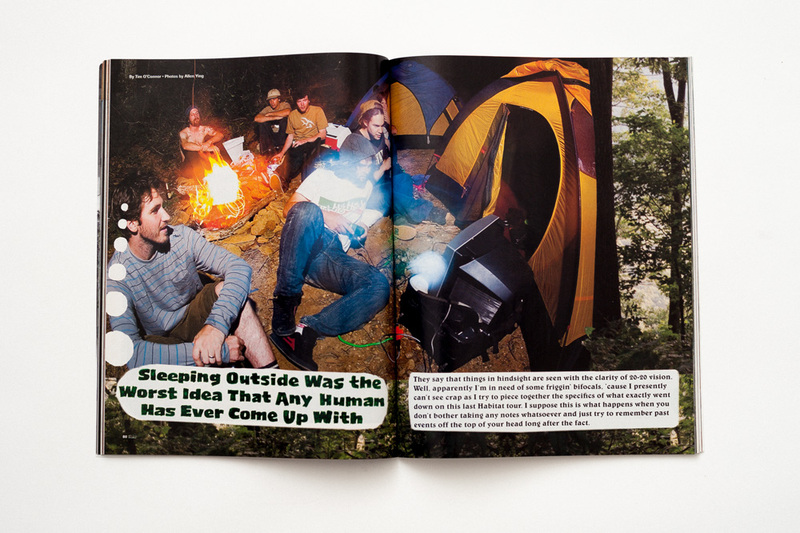 i think we camped in the woods twice, and in people's living rooms the rest of the time. kerry getz brought his xbox and tv and we plugged it into the generator we were using for lighting up skate spots at night. it was pretty weird to have a video game system by the camp fire. i also remember some of them wrapping their t-shirts around sticks and lighting them for torches as we explored the woods. when i came back from the trip, it was early july, new york summer was in full swing. i rode my bike to pick up the film from the lab, and on the way home got caught up hanging around the city at various events and gatherings. i was carrying all the film from the trip around to all these parties and ended up at sway. it must've been one of my first few times at morrissey night, when it was always a crazy party. i think i even left my bag down at a booth while dancing for a while. i was super sketched out that someone might grab my bag by accident, or fall or sit on it and crease the film, but somehow it all worked out fine. a few months later this 16 page article came out, and it was probably the biggest feature articles i'd shot at the time.